Can women propose? Absolutely. I did. I had never considered that I could propose to someone until after I started dating Adam. We’d been friends for nearly a decade before that, and I knew right from those early days that he was ‘the one’. When the discussion of marriage came up I told Adam that maybe I would propose to him. He didn’t reject the idea so I tucked away that little bit of information for later. After being together for a year and a half I began to realise that he was thinking of proposing; but also that he wasn’t too sure on how to go about it. That’s when I started making my own plans. It took about a month to finalise everything, as the timing of everything had to be just right. I set the stage two weeks before Adam’s birthday. We were going to be at a friend’s wedding on his actual birthday, so it was the perfect ploy to keep my true intentions a surprise. I pretended that we had other plans for that day, so when he awoke to find an envelope with “Adam’s Amazing Race” written on it he was excited! Yes, that’s right, ‘The Amazing Race’ was the theme of my proposal. 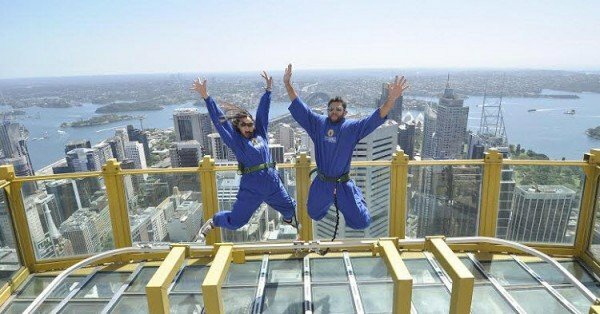 His first challenge sent us to the Sydney Tower to do a skywalk outside the building. At 260 metres above the ground, this was definitely not for the faint-hearted! Once we completed the walk, Adam was handed his next race card, which led us to an Escape Room challenge. Cat and Adam. Image supplied. We finished this and then raced to our next destination: indoor rock climbing. After proving that he definitely is the more skilled climber, we completed a short detour home to prepare for the next ‘challenge’ – dinner. After dining out for dinner and dessert, I handed Adam his final race card which explained that he had one last surprise at our local cinema. His favourite movie is the ‘The Secret Life of Walter Mitty’ – and I had arranged a private screening for the two of us. 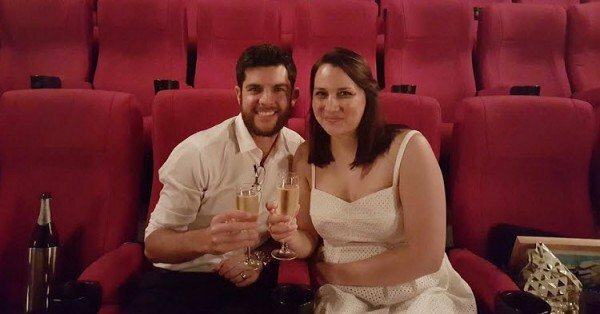 I proposed before the movie started, reading a heartfelt speech and gifting him presents. There was a Groundskeeper Willie Lego figurine holding a sign saying “Will-Yee” and a photo of Mary Berry with “Ma[r]y me?” written on it. The answer was an emphatic “yes!” but in my nervousness I forgot to go down on one knee and that I had to place the ring on his finger! In the end though, we both won ‘Adam’s Amazing Race’. 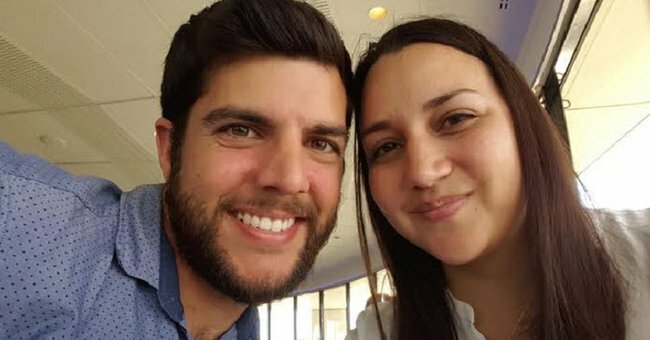 I proposed because I wanted to take the burden from Adam’s shoulders, and because I also felt that men deserve to feel just as special and important when it comes to proposals and weddings. The idea that men have to do the asking is a little outdated. A proposal shouldn’t be just about one partner, it should be about the couple and the decision that they make together about their future. I wholeheartedly encourage any woman to get down on one knee and ask their partner – provided you know they want to get married of course! My proposal was a celebration of all that is us. We did exciting activities that we’d been meaning to do since moving to Sydney, and we shared an experience that will make us smile for years to come. Even more thrilling is that we now have the opportunity to be a part of another ‘Amazing Race’ themed challenge with QV Melbourne on Leap Year Day! And if we don’t win this race, I’ll still get to marry my best friend. Mamamia Out Loud is the podcast on what everyone is talking about. Subscribe in iTunes or listen to the full episode below.